[How did you start?] 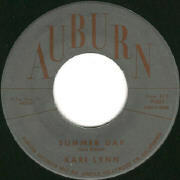 Kerri Lynn, the record was called "Summer Day" and it was on the Auburn label. That was the first string arrangement I ever did... 1960,1961? You don't have that one, right? So began Jack Nitzsche's interview in BOMP! and, pleasant though the record is (featuring a good, but 'straight', vocal from Kari), it's playing as much for historical as musical interest. Although he had already notched up writer credits, this may have been Jack's first string arrangement. Even at this stage his string work sounds complete; more Percy Faith than Neil Young, but still possessing a richness of feeling. Who could have guessed that Kari would be the start of a musical career lasting 40 years, encompassing such diverse artists as the Rolling Stones, Barbra Streisand, Bob B Soxx and the Neville Brothers?! Label credits; Terry Melcher, Jack Nitzsche, Bodie Chandler, Edward McKendry, Eddie Hodges. 'Sound' credits; Darlene Love, The Blossoms and some of the cream of the LA session musicians. Terry heard "Zip-A-Dee-Doo-Dah" and hot-footed it into the studio with all the leading players (Bobby Sheen and Mr. Spector excepted) and produced a very credible rock recording based on Nitzsche's original arrangement of "Zip...". 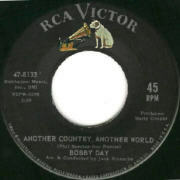 The song - a very good one - was co-written by Barry & The Tamerlanes vocalist, arranger and occasional co-writer, Bodie Chandler. Eddie may not have been quite the voice the writers had in mind, but what a record! 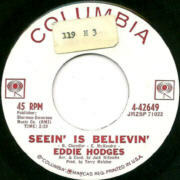 When he was only 14 years old, Eddie had 'hit' big with two 45s on Cadence, but, despite a duet with the delightful Hayley Mills and a string of great 45s, he never cracked the charts again. Hard to rate Ramona too highly. Some very classy 45s for Warner Brothers, with production as well as a number of songs written by Jerry Riopelle. If Jerry wasn't sharing writing duties then it was most properly Carole and Gerry, possibly Phil and Steve or, in the case of the closest Ramona had to a hit, Rudy Clark, with "It's In His Kiss". The greatest has to be the song she wrote with Cleo King, "Oriental Garden". 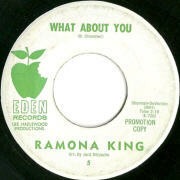 Surprisingly, another Ramona composition was not chosen as the follow-up, instead a cover of the Cannon Sisters second 45 for the Valiant label, written by Bodie Chandler, "What About You" was picked. Again, it should have been a hit but then it should have been one for the Cannon Sisters, a super song also covered by Charlotte O'Hara/Bonnie. And Nitzsche's arrangement on this? Superb! Mr Hazlewood needs very little introduction, although I did find a fab site, Ready Steady Go, that features a groovy page on him. Conversely, information about Suzi Jane Hokom has been a lot harder to find. Her personal and working relationship with Lee started at MGM with her first solo 45 in '66, "Need All The Help I Can Get" (wr & pr Lee, arr Billy Strange), is a perfect Monkees number; with shouted refrains, jangly guitars, tambourines, psychedelic flourishes and a driving pop beat. All that was needed was a change of name on the label for a big hit. Despite the talent, the hit never came; she produced Gram Parsons first LP as a member of the International Submarine Band and continued working with Hazlewood as producer, soloist and duetist until '72. 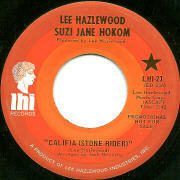 Nitzsche and Hazlewood's relationship goes back even further and "Califia", with an arrangement (very evident in the strings) by Jack from '69, is fairly typical of her work: country with an edge. 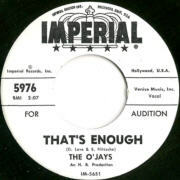 A groovy soul work-out from The O'Jays, "That's Enough", first released in 1963 on Imperial, an H.B. Production, written by Jack Nitzsche and DOROTHY (Thank you Mick) Love. Jack's first use of the song was by Judy Hart (Henske), just as soulful with a strong gospel feel. A track for a future 'battle'. As beautifully melodic as their 70s records are, the songs they released with out much success under the firm hand of the great H.B. Barnum, are hard to better. Jack worked extensively with H.B. at this time and I wish he'd extended his patronage to the credits! 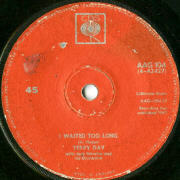 Many records bear Jack's trademark strings including the A side to this 45, the absolutely gorgeous "Lonely Drifter". I'm pleased and proud to be playing Tammy Wynette & Freddy Fender's duet "No One Knows Better Than You" written by Jack Nitzsche (who also directed) & Alan Gordon, from the movie "When You Comin' Back, Red Ryder?". The film achieved scant box-office success and never made the transition to video let alone a soundtrack album. A typical country song by Tammy - can't give much greater praise than that! - a real shame that hardly anyone has heard it. A product of Jack's many mid to late 70's collaborations with Alan. The song exemplifies the diversity of Nitzsche's abilities particularly evident in his film scores where he utilized artists as varied as The Germs, Randy Newman, Art Pepper and Captain Beefheart. A detailed examination of Jack's cinematic work has started on Movie Reviews. A superb song written by Al Kooper & Irwin Levine which perhaps suffered from a too clever lyric but did achieve a Top Forty chart placing when covered in the UK by The Rockin' Berries. This original version by Eddie (more about him in a future ROTW) really deserved to be a hit. From the opening guitar chords, bells, surf styled bvox and Eddie's strong melodic lead vocal you can't fail to be hooked. Melding surf styled pop ethic with folk-rock sensibility and driving rock beat proved a musical triumph for Mr. Nitzsche. Prominent harmonies supplied by future rock band Crazy Horse, fresh from proving their vocal prowess as Danny and the Memories on the Valiant label. This was their first recording with Jack in what proved to be a long and at times inharmonic working relationship. Pretty good, a glass of beer (with an umbrella), lounging in the garden and I think I'm beginning to understand what Sunshine Pop is all about. But inside, with the sun down, I guess I'd like the track more if it was a little 'beefier'. Perhaps if Steve Douglas had come out from behind the control room glass and added a few blasts on his sax or maybe it's the voices; just that bit too 'square'. A nice song all the same and it must be remembered this is 'only' the B-Side to "Anything For A Laugh". Interesting to note that "Baby Can't You Hear Me Call Your Name" was released in the same month as The Association's version on Jubilee. Thanks to Jeffrey Glen for making me aware of their recording. Moody magnificence! Of course I'm referring to Jack Nitzsche but I'm sure that some would apply the term to Rod Mckuen. Anticipating Phil Spector's later work with Leonard Cohen the usually sparsely produced word play of Rod is given a driving beat and heavily orchestrated backing courtesy of Jack. One of four tracks arranged by Nitzsche for McKuen during his mid-sixties stay on RCA and all of them benefit from a heavy dose of the Nitzsche magic. 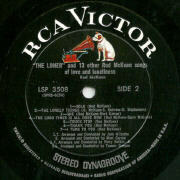 Don't spend too long seeking out the "Some Trust In Chariots" 45 this along with their other collaborations really benefit from being heard in Stereo and are available on the album "THE LONER And 13 Other Rod McKuen Songs Of Love and Loneliness" RCA LSP-3508. 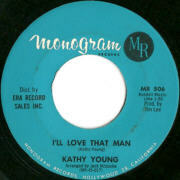 Just to prove that white girls have feelings too, the Kathy Young sung and penned "I'll Love That Man" on Monogram is a very tasty piece of vinyl. Almost a dirge this slow mournful, dreamy ballad beautifully conjures up the yearnings deep in this young girls heart. Jack Nitzsche in a typically sympathetic arrangement sets the mood perfectly, the record needs a few plays to really get under your skin but I'm sure with plenty of radio play (which it didn't get) this could have been a hit. Still only 16 at the time of this release Kathy remains revered for her huge hit and Gold Record awarded "A Thousand Stars" with The Innocents on Indigo. She quit singing to become Mrs. John Maus (Walker Brothers) and moved to England in 1965. Now back in the US she has reactivated her career and has her own official website Kathy Young.com which includes some wonderful pictures including a few recent shots and she looks just as lovely. More 'soft RnB' than 'soft pop', this is the only release by the group that I've heard. The self titled LP despite containing "Louie Louie" does not credit Jack Nitzsche on any tracksand I'm afraid at an auction selling price of $242's I'm unlikely to buy a copy in an attempt to 'spot' the Nitzsche! The group shared a 1969 The Ed Sullivan Show TV appearance with Janis Joplin but seeing a pic of them at a Lee Hazelwood 'beautiful people' party, this might have had more to do with their looks than musical ability! Anyway the record is nice enough with a good 'groove' and pleasant vocals. The 45 continued Jack's working association with Lee that spanned a decade, he even name checks Jack in the 'free verse tone poem' that served as the sleeve notes to his solo N.S.V.I.Ps LP. "...where i was promptly crushed beneth the wheels of a red go-devil driven by a half-crazed young arranger called jack of the house of nitzsche." Nice! I was there that night and found this group to be very musical: superb intonation, blend, balance, and (from my understanding) their own wonderful vocal arrangements." P. F. Sloan nicely describes the recording of this bouncy slab of summertime pop in Stephen McParland's excellent book P.F. - Traveling Barefoot On A Rocky Road. Written and sung by Sloan and (Steve) Barri who also recorded as the Fantastic Baggies, Grass Roots, Street Cleaners, Philip & Stephen, etc etc! 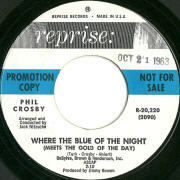 One of the duo's earliest collaborations recorded for Sepe-Brooks-Krasnow Productions and arranged by Jack Nitzsche. 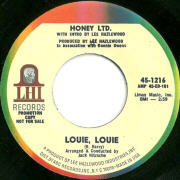 Recorded at the same session (and again with Darlene Love in attendance) that produced Round Robin's "Kick That Little Foot Sally Ann". It can be argued that the talents of Nitzsche and Sloan would soon go on to grander things - in Nitzsche's case that he had indeed already done so - but there is a real charm with so many of these early 45's. Perhaps my favourite of all Spector covers is this marvelous soulful release by ex Hollywood Flames, Bobby Byrd (AKA Bobby Day) "Another Country, Another World. Arranged & conducted by Nitzsche with production by long time collaborator, Marty Cooper this release was just the first of eight recordings by Bobby at RCA. Musically they are all top draw, great songs, productions and vocals but sales were zip. Hits such as Rockin' Robin, Over and Over,and Little Bitty Pretty One have kept Bobby in work and ACE in the UK have a great compilation of his Class label releases available. But what a shame that so many great 45's like this, recorded in the transition from Rock n Roll/DooWop too Soul, did not achieve the chart success they deserved. Baby That's Me from the pens of J. De Shannon and J. Nitzsche, is delightful, their writing collaborations were few but all are of the highest quality. 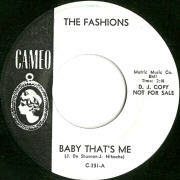 There are three versions of this tune the original by The Fashions from '64, Lesley Gore's a few months later and The Cake's release from'67. Lesley's is a confirmed Jack arrangement and I suspect the other two are also. Cameo seems an odd label for him to be on but no odder than Rust or Chancelor and beside the tune there are other Nitzschean touches in the arrangement. The Cake produced by Jack's buddies Ross and Stan are even more striking in the Nitzsche stakes as are "You Can Have Him" and "World Of Dreams" which are the standouts from their debut LP. Anyway enjoy the guessing while you wait for the song to play and ponder next week's choices. My copy is from the LP "The Barock Sound of..." thought I had the 45 of this but...anyway pleasant and rocking track to strum your harpsichord along to. Good arrangement by Jack (I understand he co-produced also), composed by Mike Murphy, and well sung with a professional standard of musicianship. I assume the group was conceived in the heady mid sixties to create/jump on the bandwagon of the latest 'happening sound', Baroque-rock. Assembled by Randy - New Christy Minstrels and Back Porch Majority - Sparks after auditioning over 200 vocalists/musicians, the talented and carefully chosen seven members who made the line up on this recording were; Carol Stromme, Del Ramos, Ted Anderson, Gary Miller, Carol Kimzey, Alan Parker and Larry Hickman. Despite there endeavors including period costumes, 3 45's, a LP, high quality recordings and big label backing, no hits resulted. 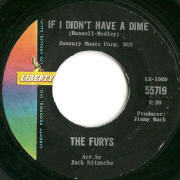 Jack Nitzsche consistently claimed that music was stolen from the Blackman and after hearing Jerome Evans lead on The Furys' "If I Didn't Have A Dime"; who would care to argue? 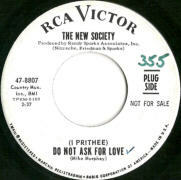 Not as immediately infectious as their best known tune "Zing Went The Strings", at 2minute 21seconds ridiculously short for a 45 - even in '64 - but with the guys in great harmony on backing vocals, a sympathetic arrangement by Jack on a fine Medley-Russell penned song the record is just so, so...right. Produced by Jimmy Mack (Jimmy McEachin?) 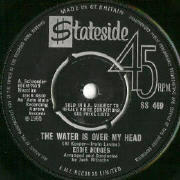 the single was of course just one amongst hundreds that deserved to have been a hit in '64. This speaks volumes for the quality of releases at the time NOT on a lack of quality of this lost gem. What about the 2min.21sec? Well just keep replaying it! To read more about the Furys', Jerome and what he's up to now. Jerome Evans and The Furys. 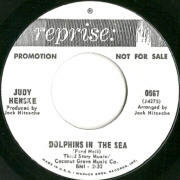 Few artists connected as well on an emotional level as Jack Nitzsche and his friend Judy Henske, whether it be traditional folk songs such as "Danny Boy", nursery rhymes, "Sing A Rainbow", classic pop from the pens of Goffin and King, "Road To Nowhere" or as in this case Dolphins In The Sea" a 'protest song' written by Fred Neil. The lyrics in many of their recordings together are unimportant; the involvement comes from the welding of Jack's arrangements with the intensity of Judy's delivery. Lets hope that one-day 'the Queen of the Beatniks' Reprise recordings will, as is her Elektra material, be available on CD. Checkout The Judy Henske Home Page and an excellent fan site the Official Judy Henske Fan Site. Sad to report that Judy is not well, I wish her a speedy recovery. Never one to let you get complacent with his 'style', Jack comes up with a typically unexpected track from his tenure at Reprise. The first nine seconds play and just when you're thinking "Oh dear", the guitar comes in and a stomping rock n roll beat takes over. A rich voiced vocal delivery from Phil which really fits the recording but the star for me has to be the sax player...who has to be Steve Douglas! Great fun and a track Ian Chapman informs us even gained 'Northern' favour. "The Best. The best white soul singer ever" said Jack Nitzsche in the BOMP interview. Praise indeed. Is it deserved? Well decide for yourself no doubting a strong pair of lungs from this former Magician. Plenty going on with the arrangement, some wonderful moments, fab picture sleeve but somehow for me at least it doesn't quite strike home. Garry Bonner who is perhaps better known as one half of the writing team Bonner-Gordon had along with co-writer Alan their share of radio AND chart hits; "Happy Together", "Girls In Love", "She'd Rather Be With Me", "Celebrate" and "Do Drop Inn" amongst them. 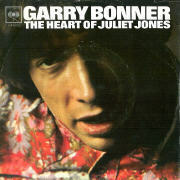 "Juliet Jones" was Garry's first solo 45 and releases continued up to '76 but with out any chart action. From what I can gather he is still performing along with Kenny Vance in The Planotones but not answering his mail! The first and only time I read the name Albert Stone was in Jack's , Bomp interview I joined the union through Nik Venet, with an artist called Albert Stone, whom Nik "nick-named" Daniel A. Stone, because of Ben E. King. I got a union card from that one. Preston Epps wasn't union. That was when I was sweeping floors. Preston Epps was before that.. The record was not listed in the discography; it was Ken Barnes who first gave me the details. And for a first effort...They are not on the record but you can still 'hear' the swirling strings, Nitzsche's sound was already almost in place. The record was actually released in 1961 this is the B Side written by Albert. The A Side is more of a rocker again superbly voiced written by Sonny Bono (under his S Christy tag) and is also a future ROTW contender. 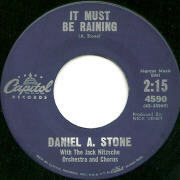 One of only three 45's by Mr Stone, I guess the best is his later Reprise single - This I don't own - a real shame that with his vocal and song writing talents he never made it 'big time' but we honour your contribution here sir. Thank You. 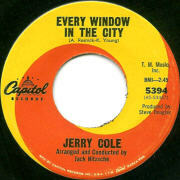 Session muso and Nitzsche collaborator on tons of records, Jerry Cole gets the chance to stretch his vocal cords on this wonderful Resnick-Young song. The record is closer in style to the Righteous Brothers than Power Surf but an experiment that sadly led to no more vocal 45's for Jerry. The earliest release of this song that I can find, it was covered well but with out the extra humph of Nitzsche's arrangement by Richie Adams for Congress. But in England, which rarely managed to capture the power of the US singles, a rather wonderful release by Irving Martin prodigy Dave Walton for CBS. Take a look and listen to my bit on the side. 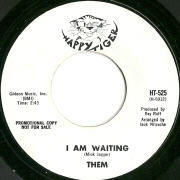 These are Jack Nitzsche's comments when Ken Barnes reminded him of this release: "I Am Waiting." I don't remember doing that. Sometimes they put the name on both sides of the record, but that doesn't mean I did it, I was asleep during these. I was chewing tobacco and spitting into a can. Ray Ruff. Weird! I wondered what he was doing in the studio. Yeah, it's probably mine. I don't remember that one at all. Follow the Writings On link to read the Bomp interview in full. The thing with guys like Guy Mitchell, Frankie Laine and maybe even Bobby Darin is, they might be regarded as 'square' but their musical careers, weren't based on there looks; these fellas really could sing. Given the right song, producer/arranger the results could be outstanding. 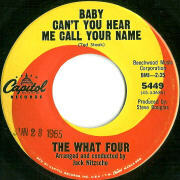 This 45 is quite a hard one to find - apologies for poor vinyl source - but worth the hunt. 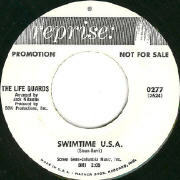 Hard to heap more praise on this 45 than Sue's comment to me, "Oh, I'd have loved to have heard Dean Martin sing this." 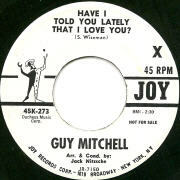 Check out Jim Smith's excellent site, The Guy Mitchell Appreciation Site it's jam-packed with information and well worth a visit. 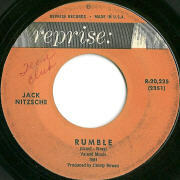 Neck and neck for a while but to my surprise a late flurry of voting fittingly gives Jack Nitzsche's "Rumble" the inaugural title 'Winner of the Battle Of The Nitzsches'. Congratulation Jack, one more honour to add to his resume, albeit a modest one! The record is a great start, a heavy reverbed, unrelenting slab of sound the aural equivalent to 2001's monolith. Jack's long time friend Link Wray wrote and recorded the sparser sounding but equally bleak original. Check out John Dietrich's excellent site Link Wray's Net Shack.for much more Link. In Volume 1 of Stephen McParland's excellent two-volume set "Sound Waves And Traction - Surf And Hot-Rod Studio Groups Of The '60's" Stephen details the studio work of many back-room innovators who were so important in shaping the sound of California. However in a rare lapse of taste, in the chapter detailing the surfing roots of Terry Melcher and Bruce Johnson, Stephen describes Terry Day's "I Waited Too Long" as "minor teen fodder". I beg to differ! I love this song, a wonderfulyl understated arrangement by Jack and just the right amount of resignation in Terry's vocal. The writer of the song, Al Hazan, tells of the recording of the track in marvellous detail on his Early Days page . P.J. goes latino! Suberb latin-flavoured beaty ballad from the same writing team that brought you Don & The Goodtimes' "I Could Be So Good To You". Sadly, a rather obscure track, omitted from P.J. 's LPs and overlooked on most of his compilation CDs. This even failed to get a US issue, released in the UK as the B-side to one of P.J. & Nitzsche's best: "I Can't Make It Alone". 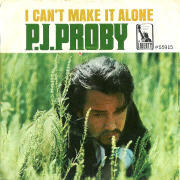 In the US you might have been lucky enough to get one of P.J. 's best picture-sleeves, but then, on the flipside, you got Ron Richards' (UK) produced, (wrongly credited to Jack Nitzsche) show-tune, "If I Ruled The World". Bummer, eh?